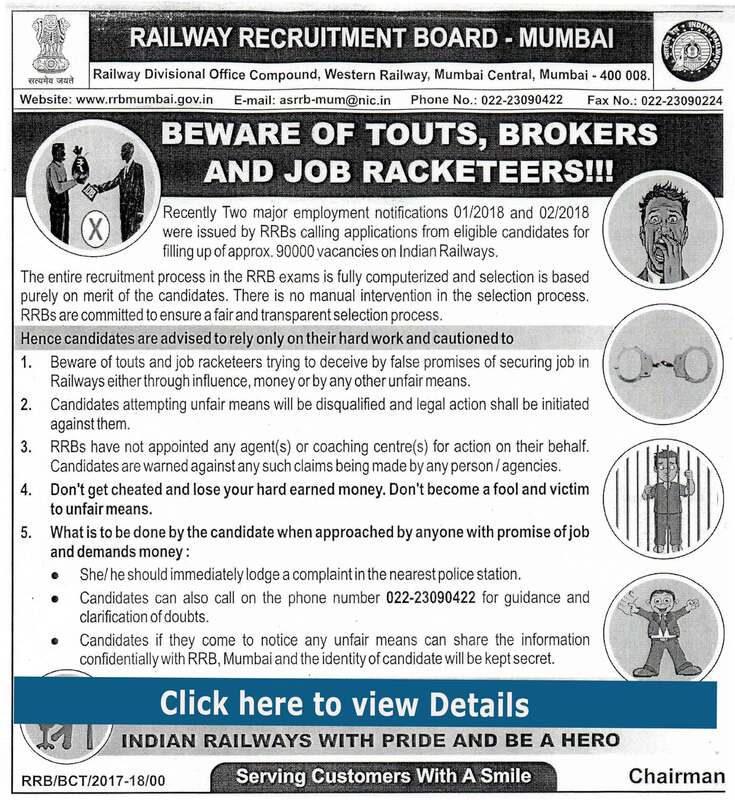 Please beware of the unscrupulous elements who may misguide the candidates with false promises of getting them selected for the job, on illegal consideration. 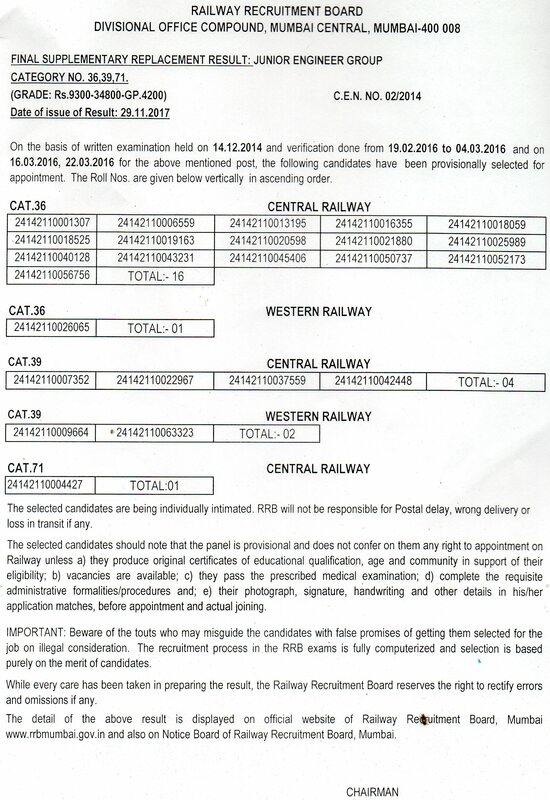 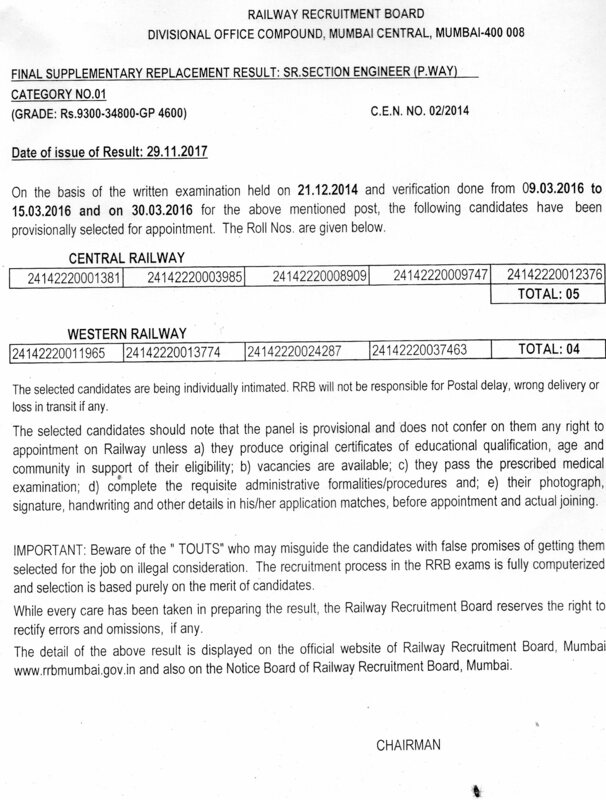 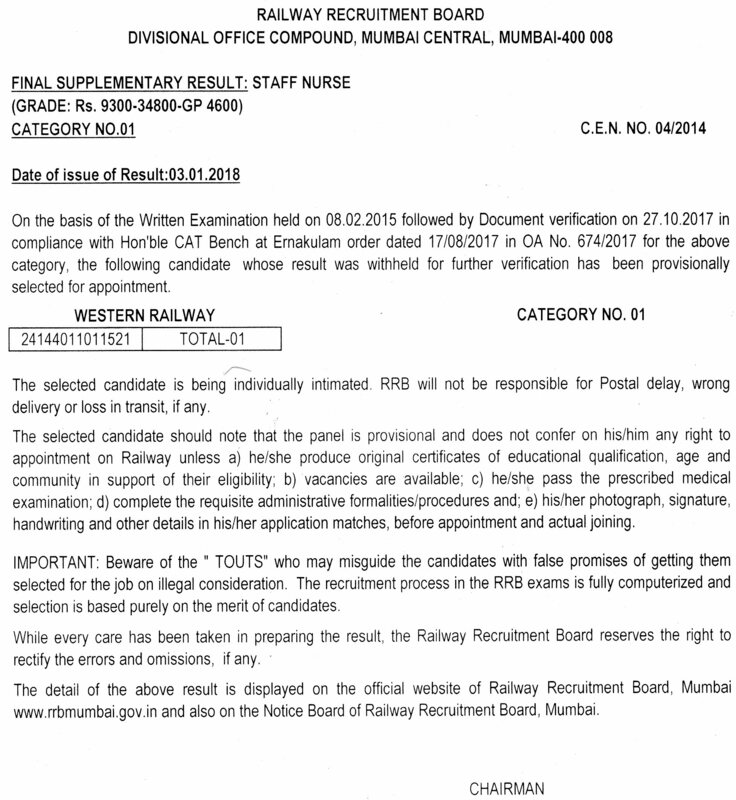 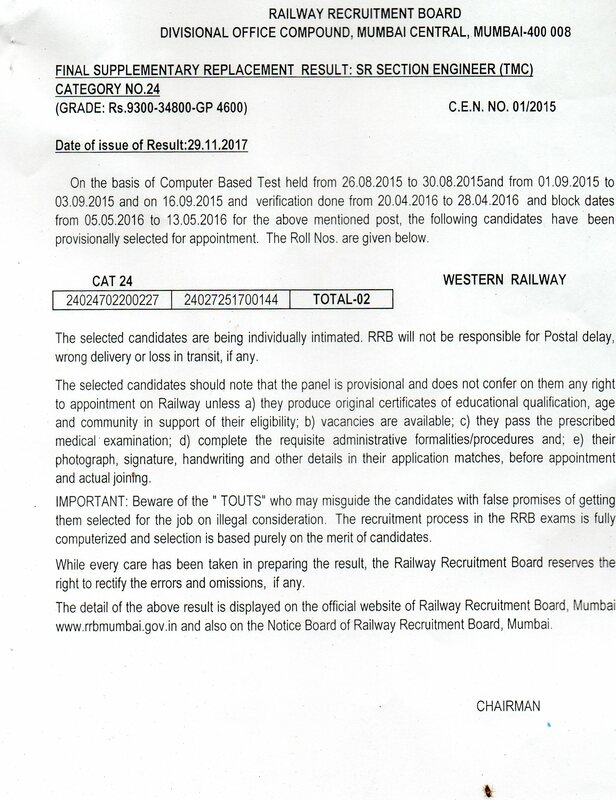 The recruitment process in the RRB exams is fully computerized and the selection is based purely on the merit of the candidates. 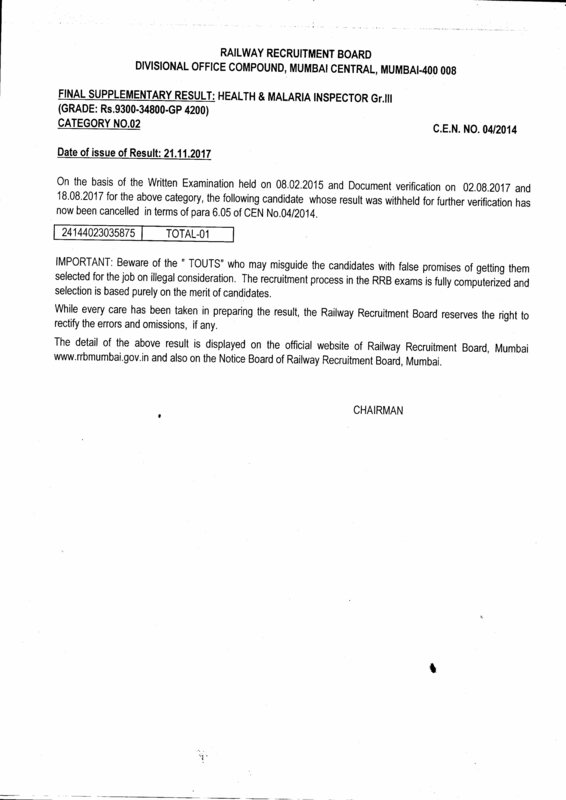 If you come across any such person, please do inform us with all possible details, so that we can take appropriate and necessary action in this regard.